Can We Turn Back the Clock? Is It Enough to Recycle? 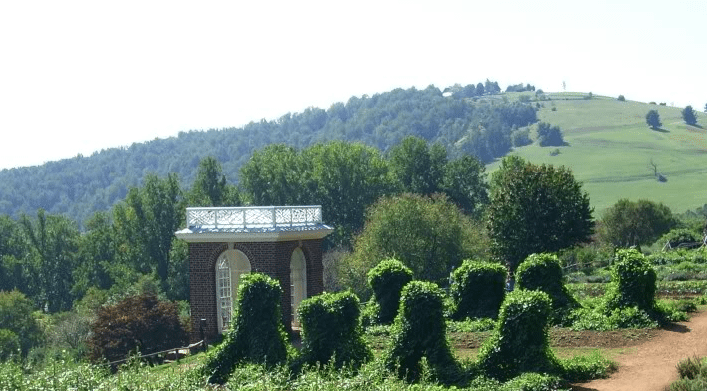 Jefferson had cleared much of his mountain of natural vegetation and was planting food crops. Now he was paying the price. Virginia looked considerably different in Jefferson’s day than it does now. In 1770 the population of our soon-to-be Commonwealth was a little over 400 thousand. It is now pushing 9 million. The road from Richmond to Charlottesville was little more than a trail through the rolling hills and virgin forests of the Piedmont. There are now numerous routes and acres of concrete and asphalt pointing us west. When people talk about being “green” or using sustainable practices, they often reference how things were in their childhood, or during the time of their ancestors. There is a great drive and passion to re-embrace forgotten practices in the hope of returning Virginia back to its native beauty. But is this a realistic dream? Jefferson didn’t have air conditioning, he didn’t have a computer, and when the sun went down the day was done. Is that really what we’re striving towards? We followed the story of Stadium Woods in Blacksburg. This is a stand of trees that has been there longer than Virginia Tech, saw the Civil War, and was around during the times of Jefferson. Some of these trees are estimated to be 350 years old. If you cut them down, they’re gone. You may be able to plant a tree, but it won’t be a 350-year old tree for a few centuries. Storms have taken trees around the State, like the Surrender Tree, where Richmond’s Mayor surrendered to Union Forces. It took two bulldozers to move the 24,000-pound trunk. While the death of this tree wasn’t technically at the hands of man, it nonetheless cannot be replaced. When you remove a mountaintop that nature spent millions of years creating to get at the coal hidden beneath its crown, the mountain is dead. You can plant grasses and trees, and they may flourish, but the ecosystem that existed before is no more. When you pollute a river and a native fish dies off, it will never again be the same river. And it goes forward, also. Clearing a path through the woods creates a road, and while convenient, it disrupts nature’s roadway. A bottle thrown from a vehicle will lay by the side of the road until it breaks down, which will be in a few thousand years. The decisions that we make today are ones that we will have to live with for years and years to come. Perhaps a better tack might be to look at what we’re doing moving forward. We like things like air conditioning and computers and lights. But what could we accomplish if we really put our heads behind it? We recycle about 85 million tons of trash in the United States. And that number is an improvement. In 2005 we recycled about 32% of all of our trash. By 2010 that number was up to a little over 34%. When you’re talking about millions of tons, 2% is a lot of trash, right? Over in Great Britain, in the country of Wales, they decided that they wanted to do a better job. They challenged their citizens to recycle everything by 2050. One Hundred Percent. In 2005 they recycled around 23% of their waste. In 2010 it was 48%. While we improved our recycling by 2% Wales more than doubled theirs. We can’t un-pave a road or resurrect Mr. Jefferson’s trees. We can take his advice, though, and plant something useful. Like a new tree. We can recycle more than we did yesterday. We can choose to not use dangerous chemicals on our lawn or turn out the lights or make a conscious effort to purchase environmentally friendly goods. We might as well face the fact that we can’t turn back the clock. But we might be able to slow the ticking.